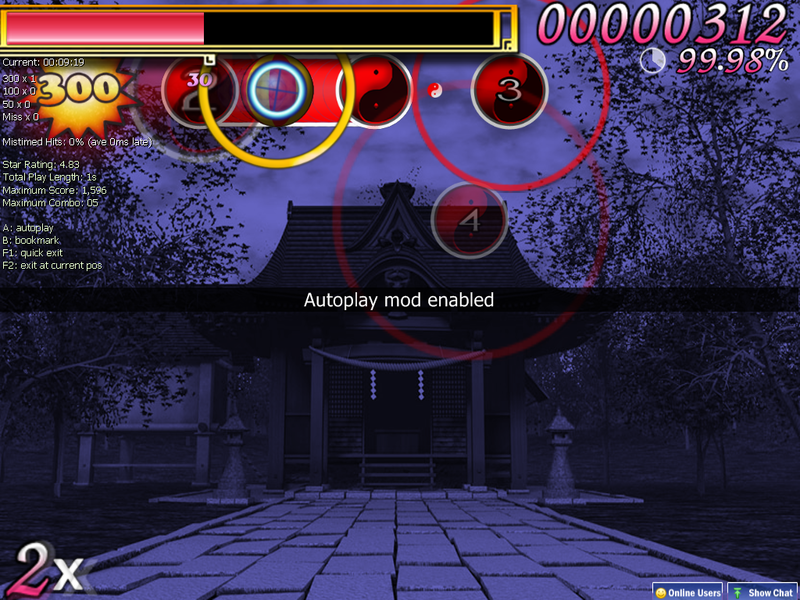 Touhou · forums · community | osu! Thank goodness for your obsession. I hadn't planned on making hitsounds to be honest. Yeah, to be honest it can kill a really nice clean skin if you have to mute the sounds. I'm sure there are times where they can be great (EBO, Ouendan, Taiko) but this just isn't one of those times. 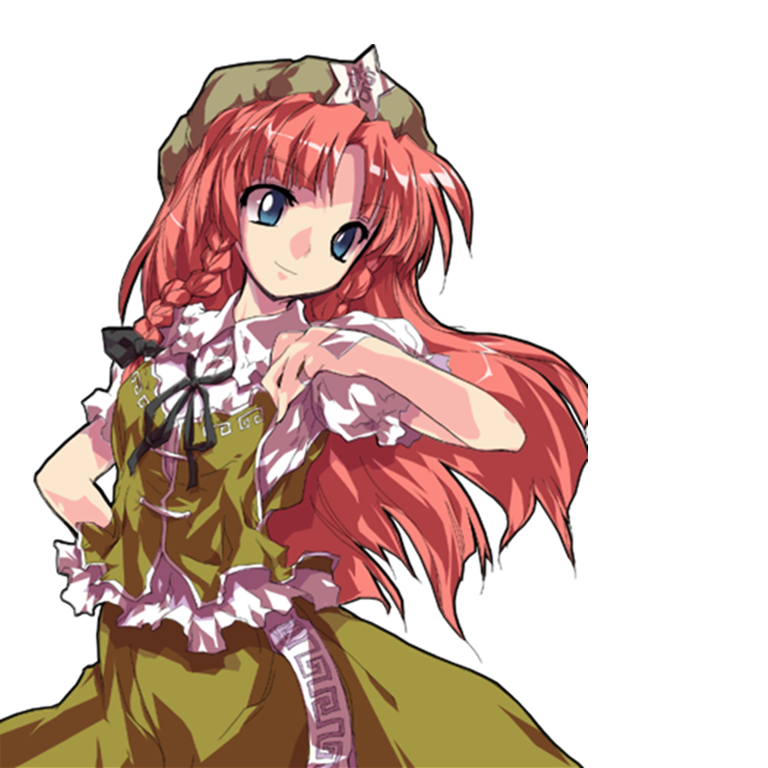 Touhou is all about the image. And changing just one of the hit sounds makes it feel kinda weird if the rest are unchanged. Give me an example where this happens please. I would just like to point out how obscured they are in the editor in the first place. 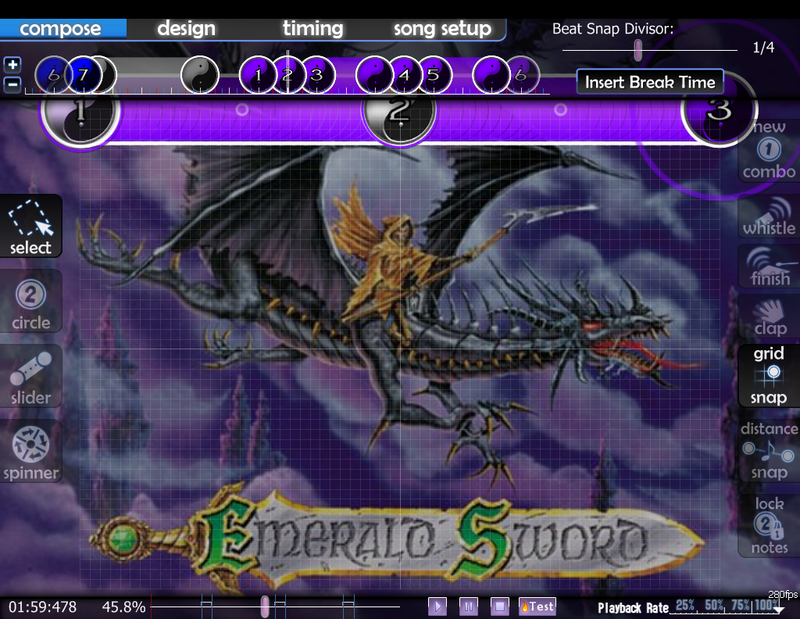 Generally speaking if it's hard to see the note in the editor, there might be issues during gameplay. These notes should be brought up during modding, though it's easy to forget sometimes. I need the opinions of the people who use this skin. 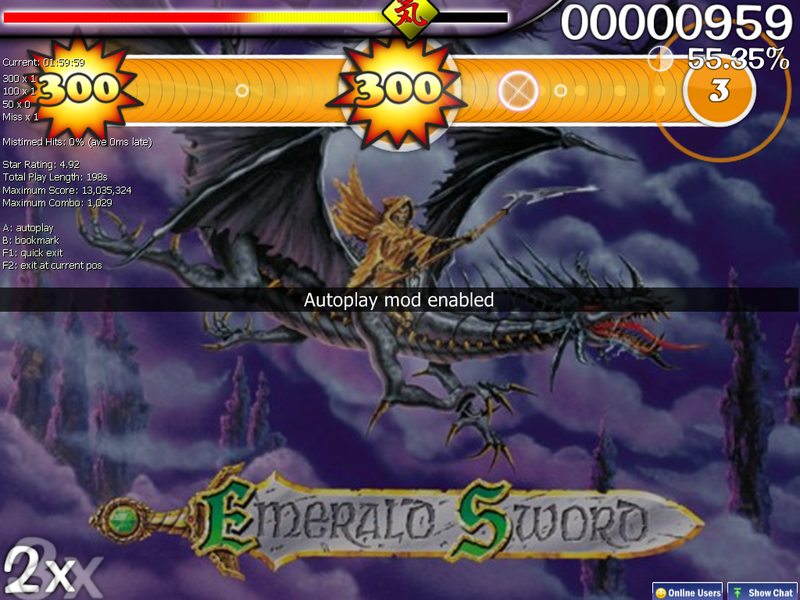 I've made a menu-button-background.png and i need to know how you all feel about it. 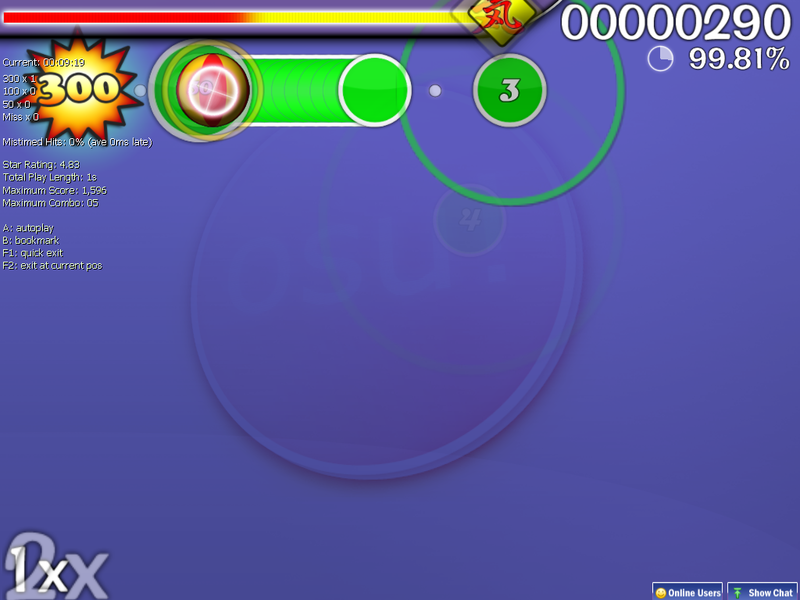 So far I'm really liking it, looks really nice, hit circles are awesome, spinner looks really pretty, the new menu button BG looks pretty neat and fits really well with the rest of the skin, and sounds are win. I suggest for the hit 300s, 100s and 50s in a bit of the style of the XiStyle skin, I tried experimenting with it and it kind of fits, also the SWR weather names seems to be a great fit to some contexts of it, I suggest try experimenting on it also. The bar's a good fit. Suits the skin really well! Now all we need are hit markers and rankings and it's golden! I've never had any issues loading any of them. I keep them all in mine here to make sure they all work right. I did specifically say in the OP I encourage people to remove some though. I have all the comboburst available and they show up and no lag either on my side. 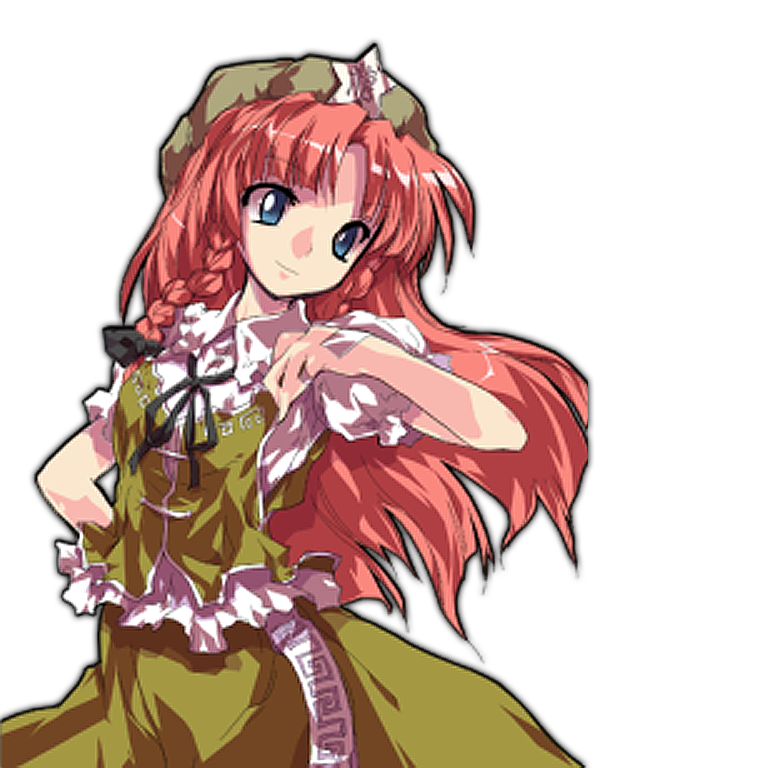 I also added Meiling on my mine, although I only got it from the wiki and it's kind of blurry, can I request a better version too Cyclone? I can't seem to find anything better than a 300x300 picture, though i did the best i could with it. I really like how this map looks so far. although maybe you could add a spinner approach circle to make it look more awesome. Please add some pics for ranks as well as for when you hit the notes. 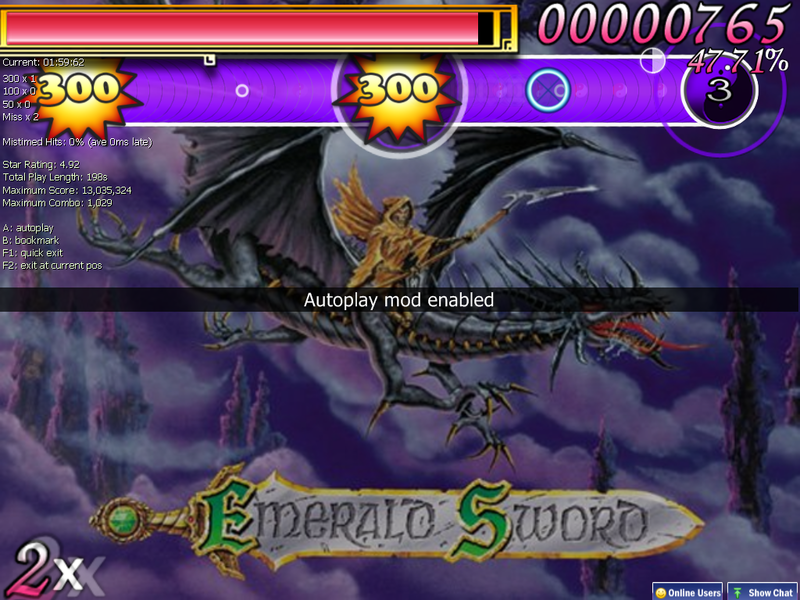 And since you added special menu buttons for mods and random and ect. maybe you can icons for the individual mods. The the slider ball looks a little wierd spinning that fast, I've never played the game so idk if that's relative to it. I made a higher quality version of that China comboburst. What else do you plan to skin for this, if anything? It's a very nice skin. This skin is the epitome of epic Touhoudry. That's a word, I just made it up now. Though I must ask, Cyclone, where did you get the combobursts from? Just another lurking Touhou addict. someone posted this on my topic. i dont know if its correct or not. Because Japanese used for the menu etc. is a little unnatural, I proposes to change it as follows.